Instagram co-founders announced that they’re leaving the company in a shock announcement at the start of Monday, 26 September. CEO Kevin Systrom and CTO Mike Krieger haven’t given a formal reason for their resignation, but the rumour mill is running, and the top suggestion is the increased lack of control they now have. The pair did state that they’re taking some time out to build up some creative juices and come up with something new, which should be interesting. 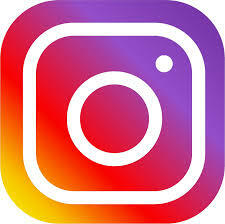 Instagram sprang to life eight years ago and was sold to Facebook six years ago for a whopping $1 billion. Not bad for a 12-person start-up. At the time of sale, Facebook promised autonomy to Instagram, but this gradually decreased and now both founders have decided to quit within the next few weeks. There have been two other recent departures from Instagram in the last few months. Nicole Jackson Colaco, Instagram’s director of public policy left simply stating that Instagram was the best place she ever worked. Keith Peiris, Instagram’s AR/Camera product lead left and started working for Glossier too. A couple of weeks ago, the COO of Instagram, Marne Levine left the position and returned to lead partnerships in Facebook. Rumours suggest that Adam Mosseri has been positioned to take over the lead at Instagram. What will this mean for the future of Instagram? Time will tell.